New York City Opera General Manager and Artistic Director George Steel announced today that the company will make New York City its stage for the 2011/12 season. With an imaginative and accessible season that encompasses productions ranging from the Baroque to Classical to Romantic and Contemporary, City Opera will create a living presence in neighborhoods across New York, including Brooklyn, the Upper West Side, Harlem and Central Park. The company will present a season of classics, undiscovered and new works that explore a repertory ranging nearly 300 years, once again illustrating City Opera’s time-honored versatility and sense of adventure. The 2011/12 season will open in Brooklyn in February with La traviata in a new staging by Jonathan Miller followed by the New York premiere of Rufus Wainwright’s opera Prima Donna, also in February, directed by Tim Albery. Both operas will be performed at the Brooklyn Academy of Music’s Howard Gilman Opera House. The next offering will take City Opera to the Upper West Side in March for Così fan tutte, the second installment of the company’s Mozart/Da Ponte cycle led by director Christopher Alden, in performances at the Gerald W. Lynch Theater at John Jay College. In May, City Opera travels to Harlem to present Telemann’s Orpheus in the theater at El Teatro at El Museo del Barrio. Beyond fully staged opera productions, New York City Opera will present additional concert events as part of the 2011/12 season. 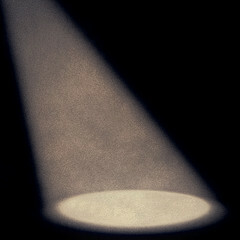 Full casting details and concert performance information will be announced at a later date. New York City Opera and The Public Theater are thrilled to announce a new initiative to present operas based on Shakespeare plays at the Delacorte Theater in Central Park in the fall of 2012. Tickets will be free. The first opera will be presented next season with hopes for a continuing relationship. The repertoire of wonderful Shakespeare operas includes dozens of 19th century, modern, and baroque masterpieces by Verdi, Britten, Purcell, and dozens more. The full announcement will be made later in the year. The coveted title role will be soprano Laquita Mitchell, joined by Canadian tenor David Pomeroy in the role of Alfredo, making his City Opera debut. The sets and costumes are designed by Isabella Bywater, the lighting is designed by Robert Wierzel. The production will take place in the Brooklyn Academy of Music’s Howard Gilman Opera House. Affectionately referred by Elton John as "the greatest songwriter on the planet" and praised by The New York Times for his "genuine originality," Grammy nominee Rufus Wainwright has established himself as one of the today's finest male vocalists and songwriters. Prima Donna is the composer's first opera, for which he also co-wrote the French libretto with Bernadette Colomine. The opera takes place during a single day in the life of an aging opera singer, anxiously preparing for her comeback in 1970s Paris. Prima Donna was commissioned by Manchester International Festival, Sadler’s Wells, Luminato: Toronto Festival of Arts and Creativity and an excerpt was performed with the Oregon Symphony for The Portland Institute for Contemporary Art’s Time-Based Art Festival. There will also be a portion of it performed next week at the Royal Opera House in London. The work premiered to great acclaim in 2009 at the Manchester International Festival and more recently received a 2011 Dora Award for Outstanding New Musical/Opera. Rising star Melody Moore will return to City Opera to sing the tour-de-force title role in a production by acclaimed director Tim Albery. She will be joined by debut artists Rebecca Bottone and Randal Turner. The set and costumes for production are designed by debut artist Antony McDonald, the lighting designer is Thomas C. Hase, making his company debut. The production will take place in the Brooklyn Academy of Music’s Howard Gilman Opera House. Featured performers include debut artists Amanda Majeski as Fiordiligi, Jennifer Holloway as Dorabella and Allan Clayton as Ferrando. Philip Cutlip returns to City Opera as Guglielmo and Marie Lenormand sings Despina. Rod Gilfry makes his City Opera debut as Don Alfonso and the production will be conducted by returning artist Christian Curnyn. The production will feature sets by Andrew Lieberman, costumes by Terese Wadden, and lighting by Aaron Black. The production will take place at the Gerald W. Lynch Theater at John Jay College. City Opera, widely renowned for fueling the resurrection of Handel’s operas, continues its leadership role by expanding its exploration of the Baroque with a new production of Georg Phillipp Telemann’s 1726 opera Orpheus, one of the few Telemann operas that has survived intact. Ranging from pastorals to historical opera seria to slapstick comedy, Telemann’s operas are rich and full of invention, often using a broader palette of instrumental color and formal variety than is typically found in operas by Handel, his junior by four years. The tri-lingual libretto for Orpheus is in German, French, and Italian, and offers a unique twist on the Orpheus myth, focusing on the character of Orasia, Queen of Thrace, whose jealousy brings about the fall of Orpheus and Eurydice. The title role will be sung by baritone Daniel Teadt. Gary Thor Wedow will conduct, with a creative team to be announced at a later date. The production will take place at El Teatro del Museo del Barrio. Subscriptions for New York City Opera’s 2011-2012 season will be on sale beginning July 12, 2011, and can be purchased by phone at (212) 870-5600 or online at www.nycOpera.com. Single tickets will be on sale beginning in early October. Brooklyn Academy of Music (BAM) is recognized internationally for its innovative programming of dance, music, theater, music-theater, opera, and film. BAM presents leading national and international artists and companies in its annual Spring Season and highlights groundbreaking, contemporary work in the performing arts with its Next Wave Festival each fall. Founded in 1983, the Next Wave is one of the world's most important festivals of contemporary performing arts. BAM Rose Cinemas features new, independent film releases and BAMcinématek—a curated, daily repertory film program. BAM also serves New York City's diverse population through a weekend concert series in BAMcafé, community events, literary series, and a wide variety of educational programs. BAM, America's oldest performing arts center, has presented performances since 1861, and attracts an audience of more than 500,000 people each year. The institution is led by President Karen Brooks Hopkins and Executive Producer Joseph V. Melillo—each of whom has been associated with BAM for more than twenty-five years. Gerald W. Lynch Theater Since opening its doors in 1988, the Gerald W. Lynch Theater has been an invaluable cultural resource for John Jay College and the larger New York City community. The Theater is dedicated to the creation and presentation of performing arts programming of all disciplines with a special focus on how the artistic imagination can shed light on the many perceptions of justice in our society. The Theater is also a member of CUNY Stages, a consortium of 16 performing arts center located on CUNY campuses across New York City. The Theater has hosted events in the Lincoln Center Festival since its first season in 1996, as well as, New York City Opera, Great Performers at Lincoln Center, Metropolitan Opera Guild and Alvin Ailey American Dance Theater/Ailey II. The Theater has also been the site of many television and film specials including A&E’s Live by Request, Comedy Central’s Premium Blend, Robert Klein in Concert and VH1’s Soundtrack Live. El Teatro Considered a “hidden gem” amongst theaters in Manhattan, El Museo’s El Teatro Theater is ideal venue for special events and performances. The 599 seat theater is recognized as a Landmark Quality Venue by the Municipal Arts Society and the City of New York Arts Commission for its remarkable series of 30 foots murals and art-deco interior. Designed in 1921 by Architects Maynicke and Frank, El Teatro, formerly known as the Heckscher Theater was founded in 1924. Intended originally as a children’s theater, the interior is decorated with artwork from Scenes for Children’s Literature, created by Willy Pogany (1882-1955). Rendered in oil on canvas, these murals range in size and depict legendary children’s tales including Jack and the Beanstalk, Hansel and Gretel, and Cinderella. Other features include an orchestra pit, luminous stained-glass ceiling fixtures, and advanced theater equipment. The theater’s history includes prominence in the 1930’s as home to many Broadway tryouts, and the original location for the Joseph Papp New York Shakespeare Festival. The theater was leased by El Museo del Barrio in 1991 and has since been host to numerous symposiums, performing arts series as well as notable film and photo shoots. New York City Opera gratefully acknowledges Emilie Roy Corey, The Horace W. Goldsmith Foundation, The Andrew W. Mellon Foundation, The Samuel I. Newhouse Foundation, and Charles R. Wall for their leadership support of our 2011/12 Season. The 2011/12 Season is also made possible, in part, with public funds from the New York City Department of Cultural Affairs and the New York State Council on the Arts. Carnegie Hall’s 120th Anniversary Celebration Throughout 2011–2012 Season New Season Opens with Five Concerts by Valery Gergiev and Mariinsky Orchestra, Anchoring Exploration of Tchaikovsky and St. Petersburg in 1890s. Carnegie Hall and Partner Institutions Explore New York City at Turn of the Century and Music of the Era. Perspectives: András Schiff and L’Arpeggiata Pianist András Schiff Offers 11-Event Season-Long Series, In the Steps of Bartók; Christina Pluhar Leads L’Arpeggiata in First Perspectives Devoted to Early Music Ensemble. Debs Composer’s Chair: Kaija Saariaho Acclaimed Finnish Composer Is the Subject of Four Concerts and, with Cellist Anssi Karttunen, Leads Professional Training Workshop for Young Composers and String Players. Beginning in May 2011, WQXR 105.9 FM, New York’s Classical Station, and American Public Media to Broadcast Twenty Concerts from Carnegie Hall on Public Radio Stations Across the Country. Fellows of The Academy Perform Innovative Mix of Concerts in Venues throughout New York City; Expanding Network of Alumni, Program Plans Residencies Around the World. Extensive Education and Community Programs of Carnegie Hall’s Weill Music Institute Serve Variety of Audiences Throughout New York City; WMI Extends its Reach with Addition of National Partners, Expanded Online Resource Center for Educators, and Launch of Online Musical Exchange Community. (NEW YORK)—Clive Gillinson, Executive and Artistic Director, today announced Carnegie Hall’s 2011–2012 season, consisting of 180 performances and extensive education and community programs, featuring collaborations with many of the world’s greatest musicians and ensembles from the worlds of classical, pop, jazz, and world music, and performances presented on Carnegie Hall’s three stages and throughout New York City. Mr. Gillinson announced details of the new season—including plans to celebrate Carnegie Hall’s 120th anniversary—at a press conference where he also unveiled design renderings for Carnegie Hall’s Studio Towers Renovation Project, which will add inspirational spaces for music education within the historic building’s existing upper floors and create fully refurbished backstage areas to support the Hall’s performance venues. Mr. Gillinson announced a number of programming highlights and residencies for 2011–2012, including American Mavericks, a citywide celebration of trailblazing American composers and artists, led by Artistic Director Michael Tilson Thomas and presented in partnership with the San Francisco Symphony in March 2012; two Perspectives series of artist-curated programs by pianist András Schiff and celebrated ensemble L’Arpeggiata with its Artistic Director Christina Pluhar; and the appointment of acclaimed Finnish composer Kaija Saariaho as holder of the Richard and Barbara Debs Composer’s Chair at Carnegie Hall. Five concerts by Valery Gergiev and the Mariinsky Orchestra launch Carnegie Hall’s season in October, including a full Tchaikovsky symphony cycle and festive Opening Night Gala. These Mariinsky performances anchor Carnegie Hall’s 120th anniversary celebrations, which include an extended focus on the music of Tchaikovsky and his influence on the culture of St. Petersburg and a look at New York City at the turn of century, exploring the world into which Carnegie Hall was born. Mr. Gillinson also announced that, starting in May 2011 and stretching throughout 2011–2012, twenty Carnegie Hall performances will be broadcast to a national radio audience, thanks to a new partnership with New York’s WQXR 105.9 FM, New York’s Classical Station, and American Public Media. Carnegie Hall will launch its 2011–2012 season on October 5 with its Opening Night Gala concert featuring the Mariinsky Orchestra under the direction of Music Director Valery Gergiev. Cellist Yo-Yo Ma will join the orchestra for a program to include Shostakovich’s Festive Overture, Tchaikovsky’s Variations on a Rococo Theme, and Rimsky-Korsakov’s Scheherazade. Maestro Gergiev and the orchestra will present four additional concerts in October, performing a complete Tchaikovsky symphony cycle as well as music by some of Tchaikovsky’s successors, paying tribute to the legendary Russian composer who made his American debut conducting at Carnegie Hall’s inaugural Opening Night on May 5, 1891. As part of Carnegie Hall’s season-long 120th anniversary celebration, these concerts will join performances by soprano Anna Netrebko and Ensemble ACJW, a Tchaikovsky-themed Discovery Day, and additional presentations at Carnegie Hall and partner institutions throughout New York City, exploring aspects of Tchaikovsky’s influence on other St. Petersburg artists, from Balanchine to Fabergé. In addition to the focus on Tchaikovsky and St. Petersburg, part of the special anniversary celebration will include Carnegie Hall and partner cultural organizations exploring New York City at the turn of the century, examining the rich historical period in which Carnegie Hall was conceived, built, and opened. Exhibits, lectures, and panel discussions, as well as concerts featuring music written during the era, all paint a picture of this important time in which industrial-era New York City started to emerge as the cultural capital of the United States. Another major season highlight: In March 2012, Carnegie Hall in partnership with the San Francisco Symphony will present American Mavericks, a celebration of revolutionary American composers and artists who forged their own paths in order to establish their own unique musical voices. Led by Artistic Director Michael Tilson Thomas, this series has been developed by the San Francisco Symphony, which will present two weeks of American Mavericks concerts in San Francisco in early March as a follow-up to their original, highly successful American Mavericks festival, first presented in 2000. In New York City, a provocative and compelling series of performances, neighborhood concerts, and presentations by New York City partner institutions will pay tribute to musical visionaries, including John Adams, John Cage, Henry Cowell, Morton Feldman, Lou Harrison, Charles Ives, Harry Partch, Steve Reich, Carl Ruggles, and Edgard Varese, as well as new voices like Mason Bates who, like their predecessors, embody a distinctively American creative spirit. In addition to four concerts by the San Francisco Symphony and Mr. Tilson Thomas—two in Stern Auditorium/Perelman Stage and two in Zankel Hall—additional American Mavericks artists will include singers Jessye Norman, Meredith Monk, and Joan La Barbara; pianists Emanuel Ax and Lisa Moore; organist Paul Jacobs; and violinist Jennifer Koh; as well as the St. Lawrence String Quartet, So Percussion, Alarm Will Sound, and the JACK Quartet. Carnegie Hall’s Perspectives series of artist-curated programs will continue in the new season, with pianist András Schiff and celebrated ensemble L’Arpeggiata offering concerts and residencies exploring compelling themes. In his eleven-event Perspectives, titled In the Steps of Bartók, Mr. Schiff will largely explore the music and legacy of twentieth-century Hungarian pianist and composer Béla Bartók, while showcasing his exceptional abilities as a recitalist, soloist, and chamber musician. Mr. Schiff will perform with fellow Hungarian musicians, offer premieres by György Kurtág and Jörg Widmann, and lead a Professional Training Workshop for young musicians on the music of Bach and Bartók. 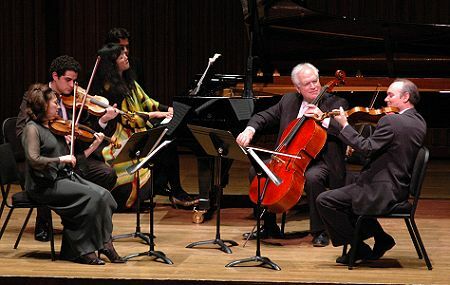 Following its sold out New York debut in October 2010, L’Arpeggiata will present its Perspectives series in March 2012—Carnegie Hall’s first Perspectives focusing on an early music ensemble. Under the leadership of Christina Pluhar, the ensemble will perform four imaginative concerts and lead two master classes that embody its work and philosophy, which involves a fresh take on music from the seventeenth century, often spontaneously improvised and influenced by contemporary musical genres from folk music to jazz. Acclaimed Finnish composer Kaija Saariaho will hold the Richard and Barbara Debs Composer’s Chair at Carnegie Hall for the 2011–2012 season, with concerts featuring a number of her best known established works interspersed with premieres of new music, performed by such artists as the Avanti! Chamber Orchestra, the St. Louis Symphony Orchestra and David Robertson with Karita Mattila, and The Cleveland Orchestra and Franz-Welser Möst. In other season highlights: Sir Simon Rattle will conduct the Berliner Philharmoniker in three concerts, including Bruckner’s Symphony No. 9 and Mahler’s Symphony No. 2 “Resurrection;” the Vienna Philharmonic Orchestra and conductor Lorin Maazel celebrate 50 years of collaboration in three programs; James Levine will conduct six performances, three with The MET Orchestra and three with the Boston Symphony Orchestra; soprano Anna Netrebko and pianists Yuja Wang and Nobuyuki Tsujii make their New York recital debuts in Stern Auditorium/Perelman Stage; the Brentano String Quartet will perform three programs, two of which feature the premiere of Fragments, collections of miniature works by a variety of contemporary and classical composers; and jazz guitarist Bill Frisell and filmmaker Bill Morrison premiere their new collaborative work The Great Flood. Both Fragments and The Great Flood are two of Carnegie Hall’s nine commissioned works receiving premieres in the new season. In total, 28 new works will have their world, US, or local premiere at Carnegie Hall. Conductors David Robertson and Pablo Heras-Casado will be among the leading artists working with Ensemble ACJW (comprised of the fellows of the Academy), as part of its fresh and innovative mix of concerts offered throughout New York City. Mr. Robertson will also lead a creative learning project for hundreds of New York City high school singers, developed by Carnegie Hall’s Weill Music Institute and exploring Orff's Carmina Burana. WMI Professional Training Workshops and master classes will be led by András Schiff; Kaijia Saarhiaho and Anssii Karttunen; Christina Pluhar and L'Arpeggiata; brass and wind players from the Berliner Philharmoniker; and, as part of The Song Continues..., Marilyn Horne, Renée Fleming, and Graham Johnson. New this season: Starting this spring and throughout the 2011–2012 season, twenty Carnegie Hall performances will be broadcast to a national radio audience, thanks to a new partnership with WQXR 105.9, New York’s Classical Station, and American Public Media. WQXR and APM will broadcast twelve live concerts from the three stages of Carnegie Hall’s 2011–2012 season on stations across the country. This broadcast collaboration will allow millions throughout the US and the world to hear leading artists as they make music in the unique acoustics of Carnegie Hall. As a special preview, Carnegie Hall's 120th Anniversary Gala with the New York Philharmonic on May 5, 2011 will be taped to air on May 31 on WQXR, with a live audio webstream at wqxr.org. In addition, as the official broadcast partners of the Spring for Music festival, WQXR and APM will broadcast all seven Spring for Music orchestral concerts, live from Carnegie Hall from May 6–14, 2011, to be heard on public radio stations across the country. NEW YORK - Artistic Directors David Finckel and Wu Han have announced plans for The Chamber Music Society of Lincoln Center’s 43nd season. Presentations will feature acclaimed chamber music players from throughout the world in a wide range of diverse and innovative programming. The New York season, running from September 26, 2011 through May 12, 2012, includes 28 concerts in Alice Tully Hall, ten in the Rose Studio, and three in the Kaplan Penthouse, plus three family concerts, five master classes, eight program-related lectures, four pre-concert events with featured composers, and five symposia. David Finckel and Wu Han have identified “synergy” as the unifying theme running throughout the season. Synergy speaks to the variety of ways that beneficial relationships throughout history have contributed to and inspired the careers and work of composers. The theme is especially relevant to the season’s centerpiece: Winter Festival, Immortal Investments. This series of concerts and symposia will honor benefactors from four centuries whose vision and generosity have made extraordinary contributions to so many treasures of the chamber music repertoire. The season opens Monday, September 26, at 7:30 PM with a thrilling concert titled “Fireworks!” A celebration of virtuosity in chamber music repertoire, the high-spirited and energetic program includes Saint-Saëns Fantaisie in A major for Violin and Harp, Op. 124, Vivian Fung’s Pizzicato for String Quartet, and Brahms’s Hungarian Dance No. 5 for Piano, Four Hands, and closes with one of the most joyful works in the repertoire: Mendelssohn’s Octet in E-flat major for Strings, Op. 20. The starry array of players includes CMS Artistic Directors David Finckel and Wu Han, pianist Alessio Bax, violinist Cho-Liang Lin, violist Paul Neubauer, double bassist DaXun Zhang, the Escher String Quartet, flutist Tara Helen O’Connor, and harpist Bridget Kibbey. Performances: February 10, 12, 24, 26, & 28, with related programs on April 5 & 26. From commissions that brought masterworks to life, to friendships between performers and composers that inspired brilliant new works, to intellectual/musical soirees that gathered creative minds in fertile environments, Winter Festival, Immortal Investments reveals and celebrates the immortal results of artistic patronage. The first four programs, presented in Alice Tully Hall in February, celebrate the contributions of historic patrons. The exploration picks up again with two programs in April in the Kaplan Penthouse devoted to contemporary commissioners. On February 10, the opening program in the Immortal Investments festival “A Princely Collection: Haydn/Beethoven,” presents works by Haydn and Beethoven commissioned by the 7th Prince Joseph Franz Maximilian Lobkowicz (1772-1816), one of the most influential arts patrons of the Classical era. On February 12, in a program curated by violinist Daniel Hope, “Inspired by Joachim,” salutes works by and for the great violinist of the 19th century, Joseph Joachim who was renowned for his instrumental prowess and musical integrity. The program includes works by Brahms, Dvoøák, Schumann, and Joachim. On February 24, “The Legendary Salon” gathers works from 53 years of musical salons hosted by the American heiress Winnaretta Singer (1865-1943), the Princesse de Polignac, recreating the bonhomie of magical evenings in Paris and Venice. The program includes works by Dowland, Stravinsky, Françaix, Debussy, Falla, and Fauré. “Appalachian Spring,” February 26 and 28, spotlights the contributions of American visionary Elizabeth Sprague Collidge (1864-1953) whose generosity prompted masterpieces from many of the great composers of her day. Included in this program of Coolidge commissions are works by Ravel, Bartók, Poulenc, and Copland. Following the February concerts, two related programs honoring contemporary patrons in the Immortal Investments festival take place in April as part of the New Music in the Kaplan Penthouse series. On April 5, composers whose works have been inspired and presented by the German impresario Klaus Lauer will be performed and include Jörg Widmann, George Benjamin, Bruno Mantovani, and Wolfgang Rihm. On April 26, the program features selections from the commissions of American patrons Linda and Stuart Nelson, and features works by Joan Tower, William Bolcom, and Gabriel Kahane. February 10: Musicologist, author, and Vassar College professor Kathryn L. Libin talks about Prince Lobkowitz’s musical legacy. February 12: Violinist Daniel Hope elaborates on the influence of violinist Joseph Joachim. February 24: Sylvia Kahan, author of Music’s Modern Muse: A Life of Winnaretta Singer, Princesse de Polignac, discusses the world of the Princess’s influential avant-garde salon. February 26: A discussion about American visionary Elizabeth Sprague Collidge and her musical influences. CMS is pleased to welcome one of today’s most celebrated and respected composers, John Harbison, as its 2011-2012 Season Composer. Harbison's music is distinguished by its exceptional invention and deeply expressive range. He has written for every conceivable type of concert genre, ranging from the grand opera to the most intimate; pieces that embrace jazz along with the classical forms. His prolific, personal, and greatly admired music written for the voice encompasses a catalogue of over 70 works including opera, choral, voice with orchestra, and chamber and solo works. John Harbison cites Bach’s cantatas as among his most important influences. His deep affinity for this repertoire will be apparent as he takes on a curatorial role for a program of these works on December 6. Harbison will also participate in pre-concert chat. His own compositions will be presented on November 10: Six American Painters for Flute, Violin, Viola, and Cello (2000), and Songs America Loves to Sing for Flute, Clarinet, Violin, Cello, and Piano (2004); April 20: the Piano Quintet (1981); and April 24: the New York premiere of his Violin Sonata, a CMS co-commission. In addition to John Harbinson’s Violin Sonata, to be presented on April 24 in a performance by pianist Jon Kimura Parker and violinist Cho-Liang Lin, the season will also feature the world premiere of Pierre Jalbert’s Trio for Clarinet, Violin, and Piano (CMS co-commission) on November 20, performed by pianist Anne-Marie McDermott, violinist Ani Kavafian, and clarinetist David Shifrin; the New York premiere of Marc Neikrug’s Clarinet Quintet performed by clarinetist David Shifrin and the Orion String Quartet on March 30, and André Previn’s Piano Trio No. 2 (CMS co-commission), written especially for the Kalichstein-Laredo-Robinson Trio, on May 6. New York City Night Life ( NightLife ), RMC © CopyRight (C) 2008 - 2011 Ithaca Night Life ( NightLife ), NY OnLine Publications, D.B.A., Ithaca, New York, 14850 - all rights reserved.